@joshuad11- I agree it is public information but the skills needed to find it are "non-public"
@nigelhealy, is something like Icon Mini what you had in mind for a successor to the Nano? @AnkerOfficial, what do these new speakers use for input? The mini looks very much like the Anker Soundcore Sport. Wonder if it's replacing it. I finally went and checked the Gizomodo article and unless Google Translate is way off, it is replacing the Soundcore Sport. I'm sure it will be waterproof and connect to another Motion+ hopefully it comes with a hard case. Wow. Everything looks very nice, especially Soundcore Icon Mini. It's very good speaker for hot summer days and to listen it on the beach! The Soundcore Icon Mini is so darn cute!!! 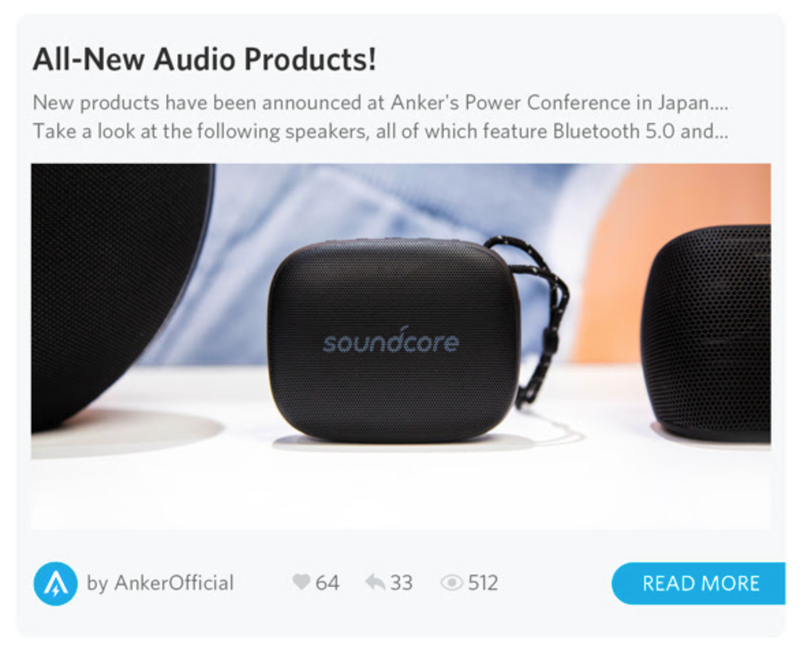 Thanks @AnkerOfficial for once again including one of my posts in the Community Highlights, but it says you wrote it. I’m a huge fan of larger Bluetooth speakers. I have several (did I say huge fan?) and love most of them. Unfortunately, sometimes one disappoints. How is the range of sound? It seems a lot of speakers sacrifice clarity to try and deliver deeper bass.